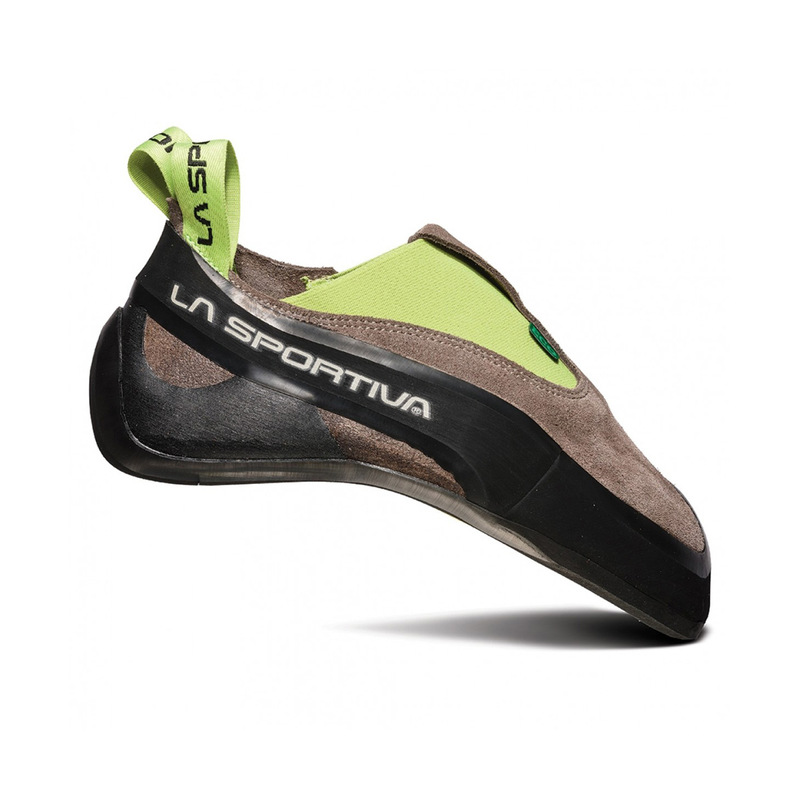 The La Sportiva Cobra Eco is the eco-version of the high-performance slipper. It's made from 85% recycled materials, including a FriXion® Eco sole and recycled upper and webbing, and metal-free tanning and water-based adhesives ensure a low environmental impact. 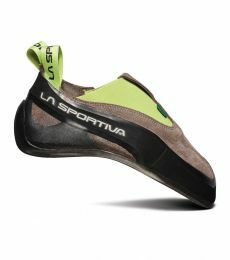 The Cobra is a highly sensitive shoe with downturn, high asymmetry, and a soft midsole to suit hard boulder problems and technical indoor routes. The toe patch provides extra toe-hooking performance, and the rand has been made thicker and wider to provide a point of friction across the entire shoe. The full leather upper ensures the maximum amount of stretch and comfort.